With interests in science, nature, and the paranormal, cryptid explores fringe topics from a unique and sometimes controversial perspective. Do aliens really exist, and is there proof out there? There are those among us who believe aliens not only exist, but they are here on Earth with us right now. Others may not cling to such fantastic notions, but will admit it’s possible, given the vastness of space, that other civilizations may exist out there somewhere. Even plain-old common sense suggests we must have alien friends. Looking up at the stars, it's hard to imagine we're really alone. Somewhere out there we have to believe there are other civilizations as intelligent as we are. Well, hopefully more intelligent! In fact, maybe they're even capable of traveling between the stars, from planet to planet. Maybe, they've even been visiting Earth. Of course there are also skeptics who believe it’s a bunch of baloney. So how do the believers (and the wannabe believers) present their case for alien visitation on Earth? Is there really any evidence? Some say proof dating all the way back to the ancient past offers compelling reasons to think aliens are here among us. Others say eyewitness accounts offer valid proof. UFOs are allegedly spotted all the time, even by military personnel and NASA astronauts. We can only imagine what the U.S. Government isn't telling us! Before we get into all of that we have to ask ourselves: What are the chances alien civilizations are really out there at all? Is there a way to determine if alien life is even possible? In 1961 astronomer Frank Drake came up with an equation to determine the possibility of other intelligent life in the universe. He wasn't wondering about UFOs, or asking if aliens are visiting Earth; he was simply trying to determine the chances of other life forms we might communicate with existing somewhere in the cosmos. Depending on how optimistic you are, the results of the Drake equation either tell you it's really, really likely there are other civilizations like ours out there, or they tell you nothing at all. It all depends on what numbers your put into the formula. The frequency at which suitable star systems form. The chances of planets around those stars. How many of those planets are able to support life. The number of planets where life actually develops. The percentage of said life that evolves into intelligent civilizations. The number of those civilizations that develop detectable technology. How long those civilizations have been around, sending signals into space. "Answers" to the Drake Equation range from zero, to hundreds of thousands of intelligent civilizations existing somewhere in the cosmos. As you can see, if any of those numbers are zero then we're truly alone. But by many accounts this equation does give us good reason to be optimistic about other intelligent life out there. So, are aliens real? There seems to be a mathematical answer, if only had a better idea how to ask the question. Where Do Aliens Come From? So, even if alien civilizations are out there, what are the chances they could actually get here? Movies like Star Wars and well-known sci-fi shows like Star Trek would have us believe that a simple punch of a button will blast us off to many times the speed of light, rocketing us toward a destination in some far-flung solar system. But there's a problem with this, at least by how we currently understand physics. Nothing with mass can travel at the speed of light, and even approaching the speed of light has its own set of non-survivable issues for we wimpy humans. And even if you could travel at the speed of light, that's not nearly fast enough. It takes the light from the sun a little over eight minutes to get to Earth. In a year that light will travel about six trillion miles. The next nearest solar system to ours is Alpha Centauri, and it's a bit more than four light years away. That's really far, over 25 trillion miles, and by our current technology it would take us about 160,000 years to get there. If our alien buddies travel at or near light speed, and if they come from Alpha Centauri, it will take them four years to get here. Astronomers know there are planets in the Alpha Centauri system, but the problem is they aren't like ours. So if not Alpha Centauri, where might aliens come from? According to some sources, including the infamous Bob Lazar and original UFO abductee Betty Hill, they may come from a system called Zeta Reticuli. If that's true, it puts them at a distance of about 39 light years. From our perspective, this seems an insurmountable distance. It would take us hundreds of thousands of years to get there. So how are they doing it? We can only guess. Whether they get here by using theoretical "worm holes", or by some kind of faster-than-light technology, or by manipulating the very fabric of space itself, their science is far beyond our understanding. It would be easy to believe they'd never make it here at all if people weren't seeing them all the time! Sightings of UFOs date back to antiquity, and they are probably the most common piece of evidence people point to when talking about alien visitation. As thrilling as these encounters are, it's important to remember that UFOs are only what their name indicates-- Unidentified Flying Objects. In other words, just because they are not identifiable does not mean they are from some other world. There are even odd sightings of flying humanoids, a phenomenon believed to be attached to UFO visitation. 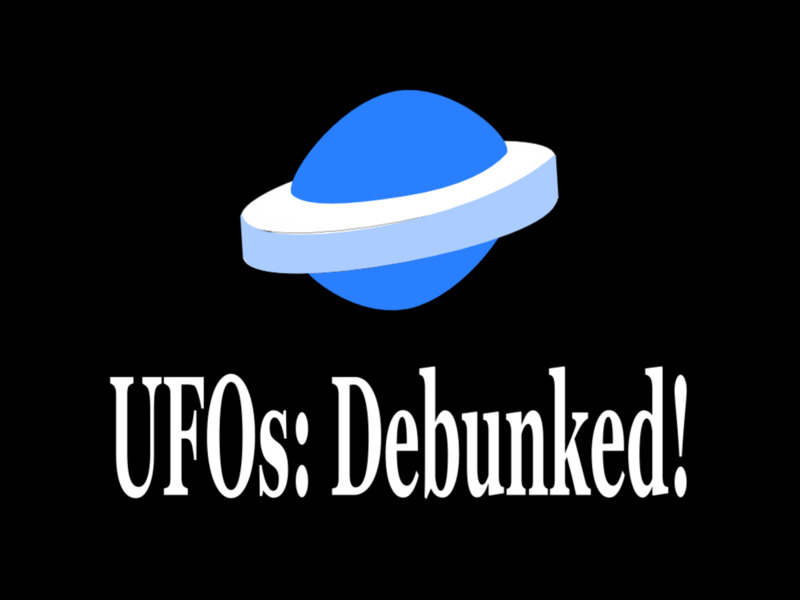 Some UFO sightings can be explained as misidentified real-world aircraft, or even flocks of geese or other high-flying birds. Others are due to odd tricks of light or other natural anomalies. Yes, some might even be attributed to secret government aircraft. 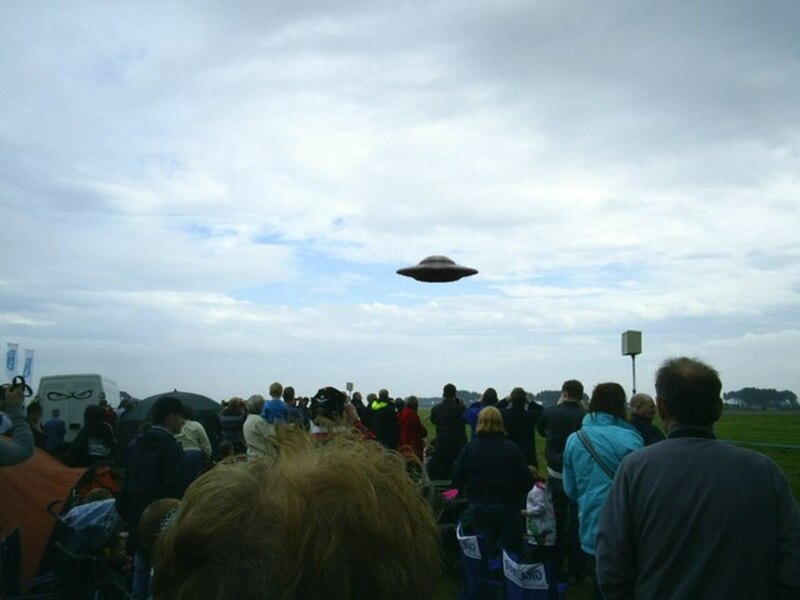 But of the hundreds if not thousands of reports every year, is it reasonable to assume every one of them is of some earthly object rather than a real flying saucer? One way to separate the wheat from the chaff is to consider who is reporting a UFO sighting. While ordinary citizens should certainly be taken seriously, when reports come from airline pilots, military personal or astronomers we have to think there is something to them. Even NASA astronauts have reported seeing UFOs. These are professional people trained to watch the skies and know what's out there, yet there are countless cases UFOs reported by pilots, and by military personnel. Gordon Cooper, one of the original Mercury astronauts, was a believer in alien visitation, and suggested back in 1985 that the U.S. Military continually tracks unknown objects by radar. While it's certainly possible that errors can occur, when sightings reports come from such respected and trustworthy sources perhaps we ought to listen. And, we have to wonder, how many high-level military people have had UFO experiences but were reluctant to come forward in fear of jeopardizing their career. Pilots have been seeing UFOs for decades, and some people like to attribute the alien presence on Earth to our tinkering with atomic weapons around the end of World War II, but there are many researchers who believe they've been here much longer. Aside from modern sightings, there are some who say there is proof that aliens have been visiting our little planet for thousands of years. Ancient cultures accomplished some incredible feats, and looking back through history it's hard to explain exactly how they did. There are definitely mysteries to unravel, and somehow it seems like a lot of the technology they must have possessed and knowledge they had accumulated has simply been lost in time. This leads some UFO researchers to suggest that alien visitors played a part in some of antiquities greatest projects. An oft-cited example is the Great Pyramid in Egypt. Even today scholars aren't exactly sure how sure massive blocks were moved into place, and perfectly aligned, by a society that didn't even use the wheel. It's tempting to assume extraterrestrial visitors may have had a hand in these and other massive structures built in ancient times. This might make sense, but on other hand it may be selling our ancient ancestors short. It's important to remember that they were just as intelligent and savvy as we are today. But if they did possess such technology, where did it go? Of course we can only guess what the ancient people knew, and the chance of alien contact back then was about a likely as it is today. Add in interpretations of alien figures and craft in old paintings, sculptures and stonework and it's clear to many people that aliens have been here on Earth all along. If so, we have to wonder why they're being so secretive. Is the Great Pyramid Actually an Alien Power Plant? Let's assume for a moment that alien visitors did have a hand in helping ancient civilizations with some of their greatest technological triumphs. What about modern day? Might they still be doing the same with the major government powers around the world? There are those who believe that the U.S. Government knows very well that aliens have been visiting Earth, and in fact may be in some kind of communication with them. It's not likely they're discussing handing over our planet for colonization, but maybe our alien friends are helping us as they did cultures long ago. Many believe, at the very least, the government is hiding the presence of alien visitation from its citizens. People have reported alien craft that have crashed here on Earth, and the military is always first on the scene to clean it all up. 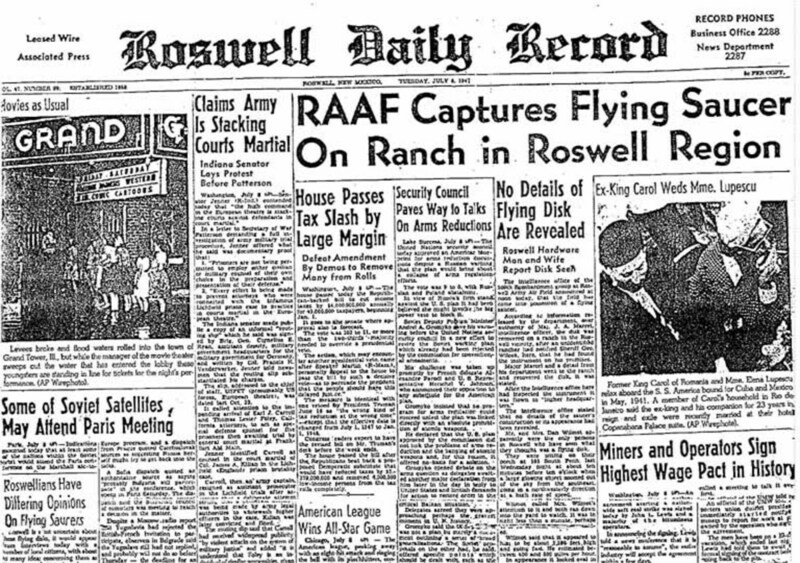 The most famous case is the 1947 Roswell incident, where military personnel first announced that a flying saucer had been captures, then changed their story to weather balloon. Why would the government do this. Skeptics will say this kind of deception is the ultimate fake-out. Consider a clandestine base like the legendary Area 51, where no doubt all kinds of super-secret experimental aircraft have been developed and tested. Job number one for the U.S. intelligence community would be to keep people out, keep information in, and downplay any strange goings on at and near the base. If the public is somehow convinced that there are UFOs there, maybe they aren't so concerned with what really is going on at Area 51. On the other hand, what if the U.S. Government really is reverse-engineering alien technology at Area 51 and other secret bases around the world? What if, as they did for the Egyptians, aliens are helping our scientists along the way? The idea is intriguing, chilling, and reeks of the appropriate amount of conspiracy theory. So, where does the truth lie? Is the government hiding evidence of aliens from the public, or are the UFO sightings reported every years by ordinary people enough evidence to say we know aliens are here? This is the question physicist Enrico Fermi put to his colleagues in 1950 during an informal discussion of the possibility of alien life. If alien life is potentially so abundant, where are they? 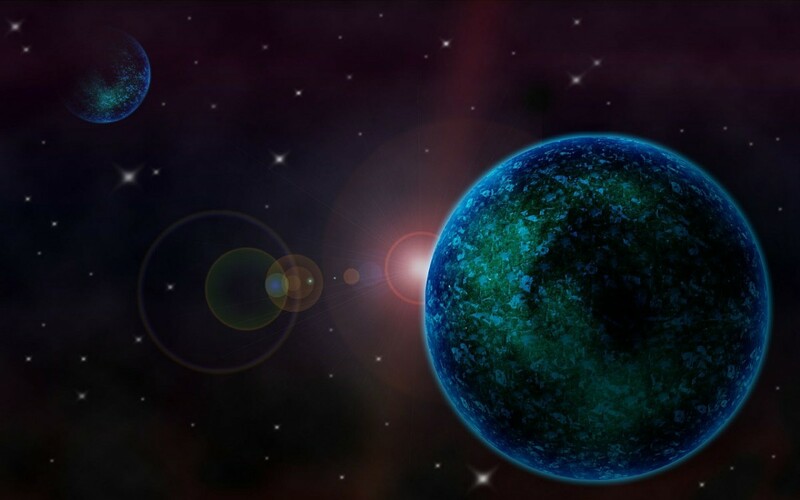 We've already seen from the Drake equation that there is a strong likelihood that aliens exist. We've determined that, even though we may not be able to travel such distances just yet, it's conceivable that a very advanced civilization may be able to make the journey. We've entertained the possibility that alien peoples may have been secretly visiting Earth in the ancient past, and may even be working alongside our world's governments today. We know that thousands of UFOs are seen and reported every year by civilians and military personnel alike. 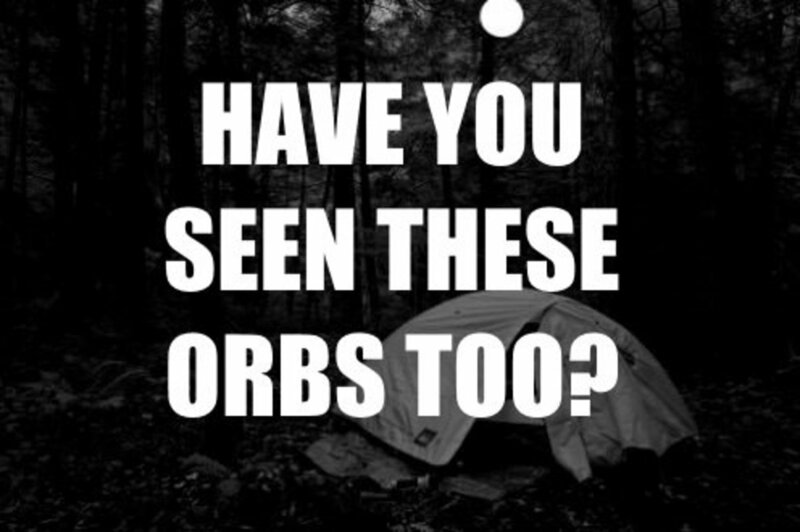 So, where are they? Why are we limited to questionable sightings, conspiracy theory and outright conjecture? If aliens are out there, why aren't they making themselves known on a global scale, and reaching out to the citizens of Earth in the name of intergalactic peace? Of course there could be many reasons, including the chilling thought that they aren't here for peaceful reasons at all. For now, we just don't know, and all we can do is guess. What are aliens really? What do they want from us? 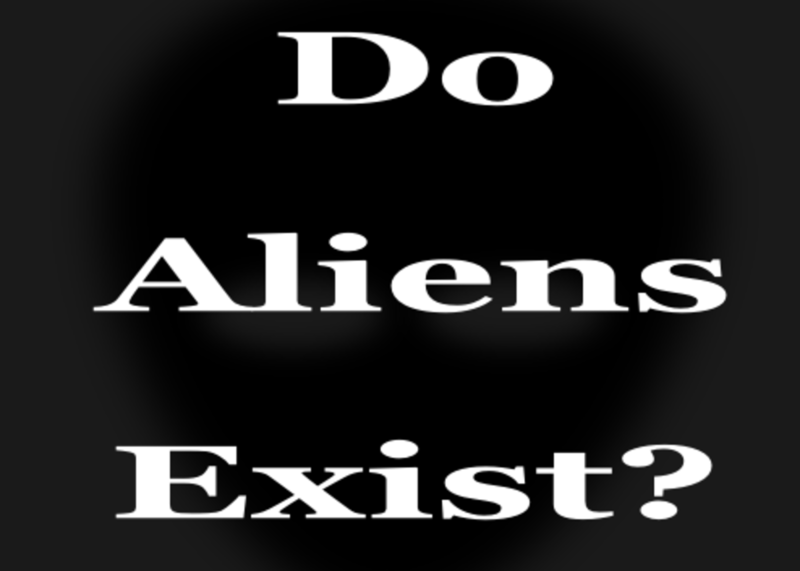 Are aliens real at all? Do you believe aliens are or have been visiting our planet? Of course! The evidence is very clear. I think so, but I'm not totally convinced. Probably not, but I believe it's possible. No way. It's all a bunch of baloney. 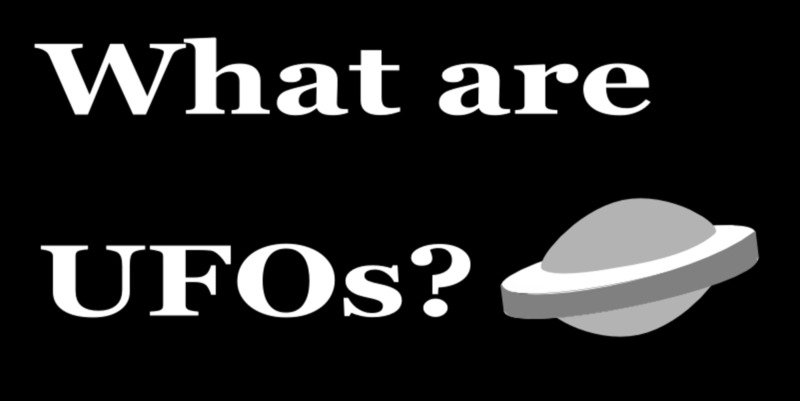 What Are UFOs and Where Do Aliens Really Come From? 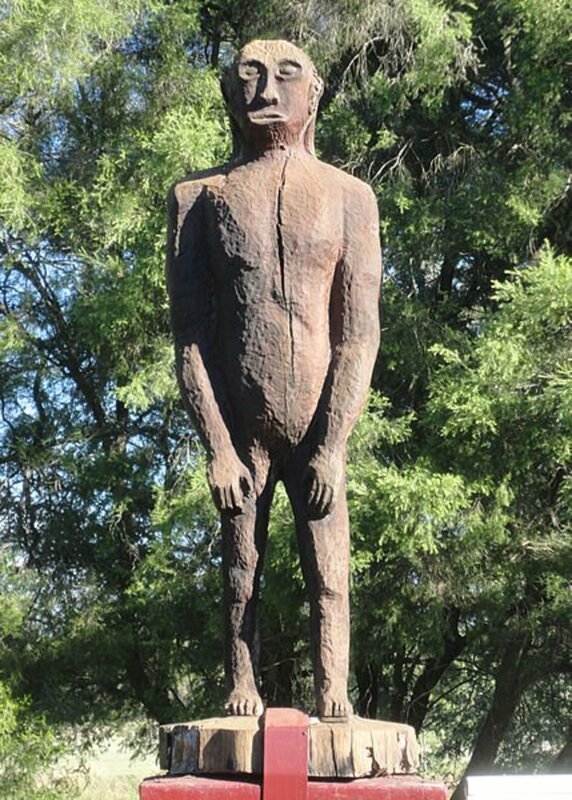 Yowie Sightings: Is Bigfoot in Australia? Hollow Earth Theory and Admiral Byrd: Proof of an Inner Earth? Oh yes.They re so true and real like the stupidity of mankind is.In destroying their planet.The only life supporting planet in a quite long distance in space.Or do you lately witness some other planet thats deeming with life ? Great Hub! Youre writing is very good and makes the reader more enthusiasm towards the subject.:). UFOs? Are they real or are they just natural phenomenons?/ Secret military aircraft. Personally i believe they are real, but not in the way most people think they are real. The so called flying saucers are Ufos, but they are manufactured and are being used by the secret military/government. The real Extra terrestrials are probably not in any dense shape or form. If they came from a galaxy far far away/ probaby hundreds of lightyears away they would travel without mass. They would have to be in another higher dimension and they would therefore also have the ability to also be visible for us. I am not any Ufo scholar or high ranked military officer, but if so many astronauts, officers and pilots has seen these ufos they are 95% real. It is hard to say that all these people just are frauds or didnt brush their glass properly. Something is probably there and are wathching us, hoping that we, the human kind will dig our way out of trouble and reach a better and fantastic future. Ghosts? are they aliens? Maybe they live in a higher dimension and once every thirty year they materialises to scare us humans a bit. Professor John Searle who invented the SEG also invented from this high voltage generator, a flying disc that could float in mid air and be flown by remote control. He invented this while employed at a billion dollar engineering firm in the 1950's. It was on the news, there are newspaper clippings online about it, pictures. Today he is in his 80's, healthy and teaching high tech engineers how he did it. John Searle created the mathematical "Law of Squares" which balances numbers from chaos with specific laws of math. He is a genius. In the 1950's he was thrown in jail by the government until they removed all his equipment and his three flying discs, the largest which was more than 30 feet across and could hold two men. This might be the very craft that crashed in Roswell, because it describes his very technology. Anyone can read his math books and physics books online, more than 40 books to read, in the last ten years only. I believe in the possibility of their existence, but not here. My opinion is that they are well existing, but on a seperate planet. I think the Drake equation must be understood that it is trying to predict intelligent communicative life. 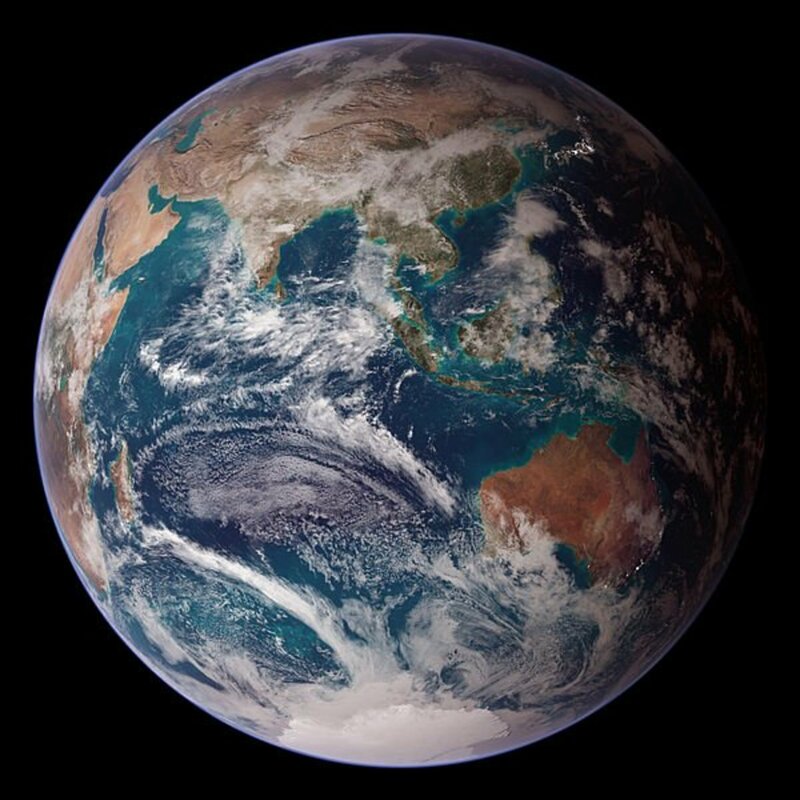 Once we see that we are possibly an incredibly rare type of life as both carbon based and made of mostly water. The next century will be an incredible time for us as a species. We are on our way toward unlocking secrets we never imagined or concieved and we are all fortunate enough to be alive right now to witness the Dawn of our asendence as a species. It is a Brave New World out there. Of course I believe aliens exist! they live with us. but we don`t know who are they? I know we are not alone! I really enjoyed this article, Cryptid. You asked some interesting, intelligent questions you don't hear too often when discussing this subject. Thanks for writing it! Actually, Jenni111, you may be surprised to find out that a lot of people read this Hub. Maybe some of them will understand what you just said, because I admit I'm a little lost on your point. Thanks for commenting though! That's interesting Kenneth. I believe you! I believe in alien and ufo Because i saw it many times they use the hidden portal in the earth to go to our planet and they bbuild a base in the moon 60 years ago! Thank you Ceegan. I do very much appreciate the compliment and the thoughtful comments. I'm in agreement with the questions you have down at the bottom of the hub, which are very deep and compelling. At least you entertain the idea of alternative explanations. I say build upon that and go from there, if you haven't done so already. I realize this is older content, but it came up when I was browsing and so clicked on it. Was not disappointed. Thanks, Ceegen. I think. A widely accepted shortcoming of the Drake Equation is that we must assume at least one variable has value or else the whole thing goes out the window. That means our answer is zero, and we're alone. But, of course, it really doesn't matter because the Drake Equation is a theoretical exercise with countless answers, depending on what numbers you plug in (and how optimistic you are). You may certainly be correct that it is all some great deception, and there is something entirely different going on than we realize. Some people like to think alien life, in order to have survived long enough to build the technology to travel here, must be more advanced socially, culturally and morally than we are. Like you, I don't necessarily believe that it true. There was no option to vote for what I believe these things to be, because I'm not so convinced that things on the surface are what they appear to be. I believe there is a great deception going on, a very strong delusion. A better question that is raised about "alien life" is, if they are fallible beings just like us, why should we trust them? If they're capable of lying to people, are they also willing to lie to further a goal or agenda, like many people do here on earth? Personally, I believe there are more unanswered questions than this hub even begins to touch upon, cryptid, but that is not exactly your fault. An example is the Drake equation that you quoted, which assumes certain things to be true for the equation to even work. What if those assumptions turn out to not be true? Then what? These and other problems I see keep me from believing that they're here to help, or that they're even from a distant physical location out in the universe. The answer that I subscribe to is much more frightening if true, because it would mean that the circumstances are much more dire. Not a badly written hub though. Good presentation. Why are stories about metaphysical oddities always reflecting of the beliefs of the times? When talk of angels was rampant in certain cultures, many people had veridical experiences of being visited by angels - now it is aliens. The stories are not necessarily made up: there is a connection between language and what one experiences veridically - "for real" as first-person experiences. On the other side of this coin, can someone experience "pink color" for instance if his or her language has no word for "pink"? It's an old philosophic question. Wow, Germany, that's a wild and harrowing story. Glad it stopped though! I was visited as a young child a couple times when I lived in the U.S. I was 12-13yrs. Old. And since I left in 78, all of it stopted.and I didn't have any idea what was going on.didn't even know what an alien or ET was. LOL! You never know. Aliens. CIA. Men in Black. They're probably all working together with the big game manufacturers. If you Google "sparkster hubpages aliens walk among us" it should come up top. Thanks for your thoughts Matthew and carrie! I'm glad this Hub provided some food for thought. I enjoyed this article. Personally, I do believe in aliens, I would be about 98% sure they are real. There's a lot of things we don't yet understand, which might explain how they got here. And the government makes it obvious, with all the coverups, that they are hiding something. Regarding why they haven't been more open, I think they are waiting until things really get bad. When things go from bad to worse, then they'll make their presence felt. Hopefully they are friendly, and will show us our errors, so we can correct them. Humanity is very flawed to say the least. Thank you Andrew. Glad you enjoyed it! Oh well that I must read thank you. I will check it out and comment, but I had to laugh when you said you saw an alien walking down the street. I did not laugh at you, its just I was not expecting that, and I am trying to envision it. 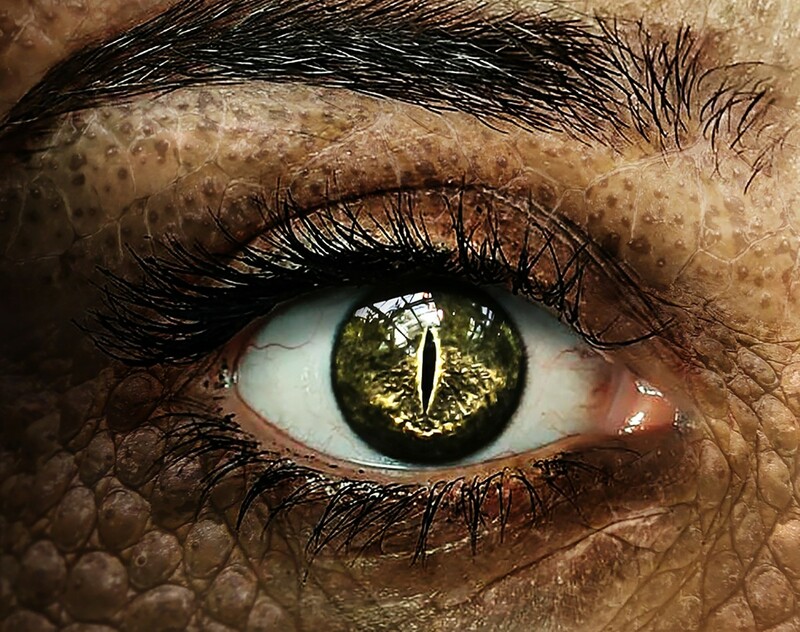 I have written about some of these experiences here at hubpages, I have a couple of hubs on paranormal experiences and one about when I saw an alien being walking down the street, out in the open, in broad daylight. Hi Nell! The inter-dimensional aspect is interesting to ponder. It sure would explain a lot, and remove any need to justify how aliens might travel such great distances. Of course it opens up a whole bunch of additional questions, but some theoretical physicists do believe there is reason to think there are multiple dimensions. So, maybe it's not as odd as it seems! Thanks for you comment and thoughts! Thanks Rayne123. Some interesting thoughts you have there! Thanks sparkster. I agree there is some compelling evidence. Good hub, I am one of those who believes in alien visitation. I have had a few experiences and there is some remarkable evidence out there when you look in the right places. Well I must say your hub is very well written. You did your research. Your work is written intelligently that's for sure. 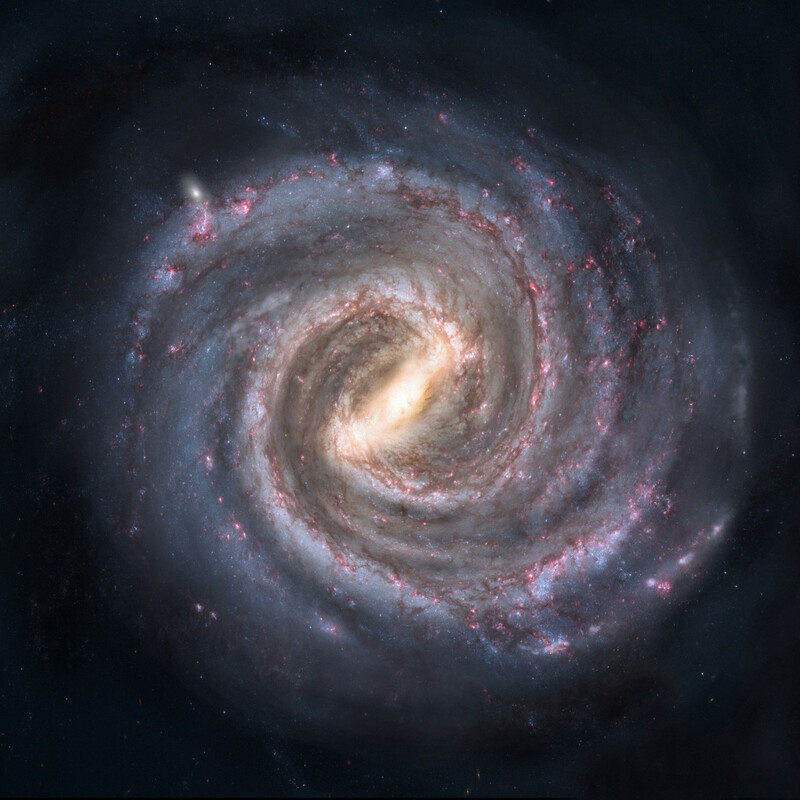 I will say this and this is only my opinion, I do believe that there is something out there (I wrote a hub on the unknown) but I believe more in the spiritual powers out in the universe, the one who created the universe. I know there are so many that have seen the unknown and just because it isn't visible doesn't mean it isn't in existence. I do not however believe in UFOs and for some reason never did. I did watch a few documentaries on crop circles and how they are made to fool the public, just as some psychics/card readers are fake. Yet most believe, hoping they will give good news to help them feel better. I for one don't think God (if you believe) would create other forms of life and not have us stumble upon these forms by now. We by all means would have encountered one personally by now. Its hard for me to explain as I am not good at putting what I mean into words except in poems, however its like the bible, it was left where God knew the next human race would find it and whose hands would stumble upon it to make it truth. I think when some say they have been abducted by aliens its just a "real" dream and may be an underlining message behind that dream. As with any myth it becomes a chain reaction around the world and spirals into more and therefore makes us humans curious to the point where eventually it must be tested. But then again its my opinion only, I believe in Angels and have had many experiences happen to me with the spiritual world that some would debunk that also, so if that is what they believe, who am to say they are wrong. I am just stating that I don't believe in aliens at all.